A thousand miles from home – no Internet, sticky hot and humid, an hour’s drive to a cybercafé. A new Times website appears but refuses my login details – request a new password – a peculiar new format eventually emerges but to get that sheaf of documents into print requires transport on a USB key – negotiations in a foreign language. We have no Chambers, no Bradford. The writing is on the wall! Time to call it a day and take up some other pastime! How glad I am that we persevered. Spud’s European Revolution was worth the struggle. Solving proved to be very tough on our knees in a plane with no Chambers to check whether COCH was Edmund Spenser’s carriage (‘shell has middle cut out’ – presumably CO(N)CH) or whether his ‘dingy’ could be spelled that way and be a COTT (‘Ad’s dingy about too much’ – with A as a misprint for E). Could LAKIN be the Virgin? (‘At one time the Virgil family found at city’s east end’ – LA followed by KIN). We loved the range of the clues from topical and easy (‘Where Tiger starts’ – TEE) to fairly obscure (‘Seed derivative with a number over fifty’ – APIOL). There was even the usual Listener compiler’s quiet little romp and tipple (or so I thought) until his ‘fiasco’ turned out to be a FLOP and not a fine bottle of Barolo (‘Short sport leads to quiet fiasco). This was inspired and luminous clueing! 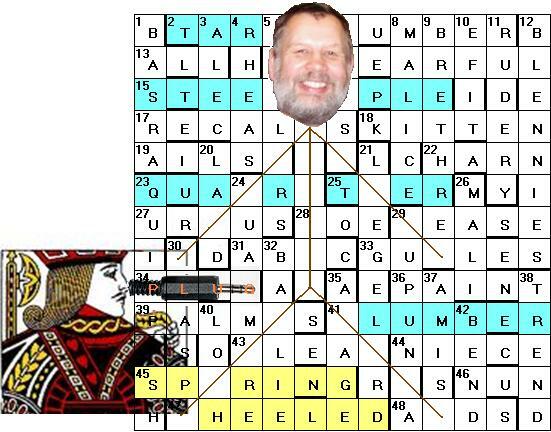 The only flaw was entirely of our making when we desperately attempted to make a word out of our scrambled ULERED?A, (‘A wild ox, once old, went first encircled by a clown’). The misprint was clearly going to be cLown/cRown and LAURELED looked pretty good but didn’t quite fit the word play and when we finally returned to Chambers, only the on-line version had the single L spelling (in its adjectival form). The Big Red Book seems to stick stubbornly to two Ls. Of course, we needed AUREOLED. I wonder how many others fell into that trap. Reaching home after midnight with a complete grid and some intriguing messages appearing, (TURN STEEL BLUE and AUBERGINE, as well as a RUBIK’S CUBE ‘the puzzle to be solved’) sleeping on it was the best route to daylight. What a thrill was awaiting us in the morning when we found AUBERGINE. If we had to highlight 54 cells in all, we were clearly looking for six faces of the cube (6 X 9 even for an arithmophobe) and AUBERGINE was fixing the position of the cube in the grid. STEEL BLUE appeared next, lying on its side. So we turned it and sat head-scratching for a while. We constructed a couple of little ‘post-it’ cubes to see the possible positions of our remaining four sides and slowly teased out CHOCOLATE, TANGERINE, some GREEN or other and, finally, CARNATION. The full extent of Spud’s genius hadn’t dawned on us yet, as I counted ‘amended cells’, attempting to choose among LIME, TEAL, PALE and a riot of other greens that would give us a total of 19 letter changes. We were muttering that this was rather an imprecise final step until we understood the full significance of turning that steel-blue face one complete rotation, so that four sets of letters rotated, just as in the original Rubik’s cube, and made those new words (NILE GREEN of course). This was spectacular! What an achievement! 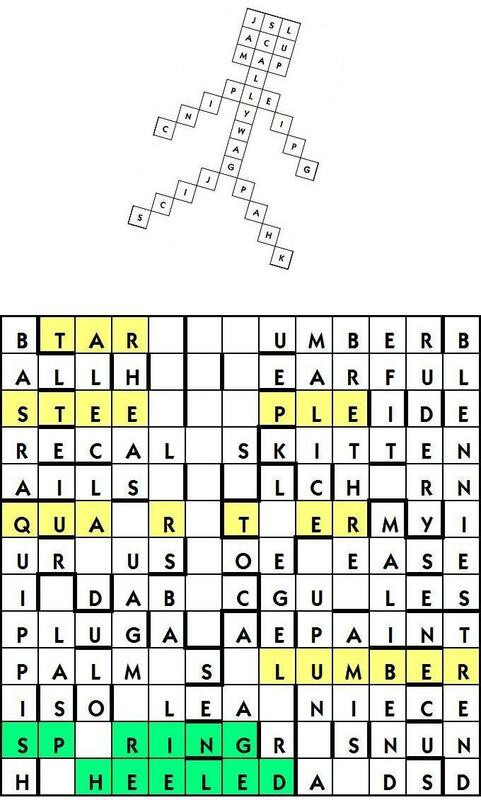 Thank you Spud – a memorable crossword and one of my three favourites so far this year. Elgin is new to the numpty team but we chuckled at the preamble and immediately suspected that the item of clothing might be TROUSERS. As usual, the south-east corner filled first, but some rather peculiar things happened and gloom descended. BAGMAN, PEPAINT, RABIN, GAMP, DENIALS, CURES, EYES and ESLOIN intersected well with GEARE, RANCES, PAREO and NISSEN but we were left with that peculiar GAAMIUYL that didn’t have much to do with EMMENTAL. Could that be one of the ‘false trails’ whose answers were not to be answered in the grid? We moved north and similar problems occurred, as we were left with STE?BEN. I remember linguistics classes where we were told that STERBEN was an Anglo-Saxon source of ‘to starve’, which, in the North, is what you can do with cold or hunger – but it isn’t in Chambers. Ah, the Biographical Dictionary produces STEUBEN – another new word I shall have to include in trivial chat this week! We already have NISSEN and ERNEST and now, as we move into the north-west corner we find another proper noun, GUJRAT. Again our big red book doesn’t come to our rescue, as it has GUJARAT and we don’t have the O.E.D. We risk it and JOKER appears as a likely villain. So we begin to suspect that our remaining obscure lights are probably RIDDLER and PENGUIN. Are we in BATMAN and ROBIN country? There is a problem if we are, as we have to opt for a single villain in our highlighting – which of the three ‘usual suspects’? A complete grid, with one more proper noun REUTER and the head-scratching begins. We hadn’t found our remaining three cheeses (LIMBURG, GOUDA and STILTON) which would have pointed us towards LEGS. Nevertheless, with the PENGUIN as a possible villain and WALLACE appearing if we put TROUSERS at 20d, we had the link with the Emmental cheese (Wallace’s passion for my local cheese, Wensleydale). If we can find GROMIT somewhere, we would have a couple of crime fighters with a single villain. TROUSERS produces BATMAN and ROBIN but it also produces a problem since DENIALS would have to become DENSALS. Hmmm. Tough and challenging, both the grid-fill and the endgame – and we are left with that nagging doubt that we haven’t quite got it right. Thank you Elgin. If, unlike me, you’ve been solving the Listener regularly over the last six years, you may remember Elgin’s Asylag. I know of it only by reputation as having one of the highest error incidences ever: nearly 90% of the submitted entries were wrong! The puzzle’s final step require the solver to hold the completed grid in front of a mirror and read a reflected diagonal. With such a devious mind at work, I approach all Elgin’s puzzles with due deference and anxiety. Here we seem to have a crime (a heist) to be solved with some usual suspects, an item of clothing, and two crime fighters. Batman and Robin spring to mind. 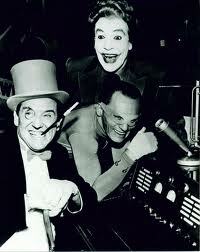 Of course, Batman and Robin were, at least in the TV series, known as the dynamic duo. I always thought that was pretentious in the extreme and consequently I rooted for the villains, especially Caesar Romero as the Joker, and Burgess Meredith as the Penguin (although he sounded more like a duck when he spoke). Sadly they were constantly outwitted. Anyway, wouldn’t it be great if I got a head start before even reading 1 across? Although it starts off being a bit of tricky, I get a dozen or so clues without too much of a problem, mainly in the bottom right corner (and including 22dn LIMBURG). This yields one clash at the intersection of 32ac and 22dn. Although the word ‘clashes’ isn’t mentioned in the preamble, it does say that one entry modifies those it intersects. Then, as I enter RABIN at 25ac, my suspicions about Batman and Robin seem to be coming to fruition. In quick succession the top right corner gets filled with five down entires: 10 NATANT, 9 OSSIANIC, 8 ARNA, 7 EARLAP, and 6 STEUBEN. And who should be struggling to make himself known at 19ac but BATMAN, although the entry currently requires BAGMAN. It looks as though 20dn, which solves as EMMENTAL but is currently GAA.IEYL, is total gobbledy-gook, as is 22dn where three down entries all clash. I can see Asylag looming large! Except I know my Batman villains, and taking the across answers for 22dn, followed soon after by 23ac and then 13ac, we have the three characters above: PENGUIN, JOKER and RIDDLER. Although RIDDLER replaces LIMBURG, it is sometime before I get to solve 23ac STILTON and 12ac GOUDA, which are replaced by the villains. It looks like they’re all cheesy places. Perhaps the home straight is in sight. Now I have the across entries as BATMAN, REPRINT, ROBIN, GAUP, DENSALS, CERES, ERES, ESSOIN, all new real words. Except, of course, DENSALS isn’t. Moreover, with three villains, which one must be highlighted along with BATMAN and ROBIN. Rule 13 in my Top Tips for Solving the Listener (especially if you’re stuck) is: If you’re at a loose end, let your eyes glaze over and wander aimlessly around the grid for a few minutes. Bingo! In the third row from the bottom I see WALLACE! 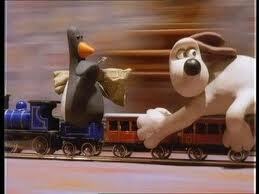 And GROMIT is running north-east from the first letter of 25. And there goes my ‘before 1 across is even read’ out the window … the theme is Wallace and Gromit’s The Wrong Trousers, and 20dn has to be ROUSTERS. Sadly, Batman and Robin disappear from the grid, becoming BARMAN and RUBIN. Oh well, I never really liked them, did I? And our new heroes pleasingly dispense with the need for flimsy disguises, disguises that every outsider can see through, but not the characters in the comics. So the modified entries are: BARMAN, REPOINT, RUBIN, GASP, DENTALS, CERES, ERES, ESSOIN, and thankfully are all new real words. Finally, the villain to be highlighted is the PENGUIN. 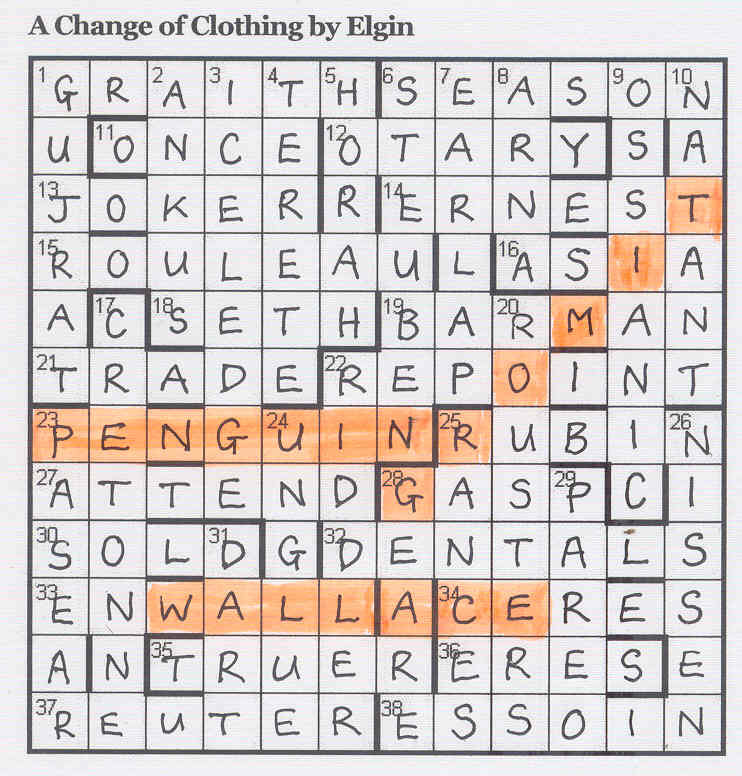 Thanks for another thoroughly enjoyable puzzle, Elgin … not too tricky this time, I’m pleased to say, and very satisfying. And another up-to-date theme for the Listener. I hope nobody suggests it’s dumbing down! More cheese, Gromit! A welcome return for one of my favourite setters who this time gave us variations on Jack. With Jack Plug sticking his nose in, the springs are impeded and the scallywag stays put. I suppose that I’d have to describe Charybdis as a slightly quirky (in a nice way) setter. His last Listener was 4042, How to Put on a Little Weight with its mixture of astronomy and gastronomy. This puzzle has a somewhat convoluted preamble, including clashing letters, extra letters, an instruction and a deduction. Oh no, a deduction to be made. That always fills me with trepidation as I’m not always good at mental leaps, logical or otherwise. So let’s see what we come up against. The across clues are not very forthcoming with a grand total of four: 17 RECALLS, 28 WOE, 46 NUN and 48 ARDS. It’s unfortunate that 6dn isn’t solved yet; it forms part of the ‘figure’ that we are going to end up with according to the preamble. The downs start off very well. 1 BASRA, 3 ALEC, 4 RHEAS, 7 LAPSE and 9 BRETHREN, all nicely down from the top row. Unfortunately, only two more get solved in my first pass through the clues, 20 LAUD and 32 BAILIE. Alas, no clashes yet. 2ac TARP and 6ac SLUMBER. The latter has an extra letter O in the clue, leaving MB in an anagram of RULES. It looks as though removal of the extra letters may leave non-words in the clues, something that I, among others, don’t really like, but hey-ho! 5dn is probably an anagram of moralist after losing a letter, but the letters I’ve already got give P.DLA.. which means that three of them must be clashes. With 16ac APPLE, I finally resolve 6dn SCALLYWAG, and am a bit mystified as to how that could be thematic although it is a figure of some sort I suppose. Progress is somewhat slow, and the last few clues take a fair bit of unravelling: 23ac QUARRY (Victim came round this diamond mine), which I think is three meanings; 45ac SPIRING which is uninspiring minus unin (union without the O); and 23dn QUIPPISH which is Q (query) plus I(F) in UPPISH (pretentious). Finally, I’m not too keen on Heathcliff’s to not being flagged with a question mark, but all in all the clues are good with some devious extra letters floating around. So at last we have a completed grid. 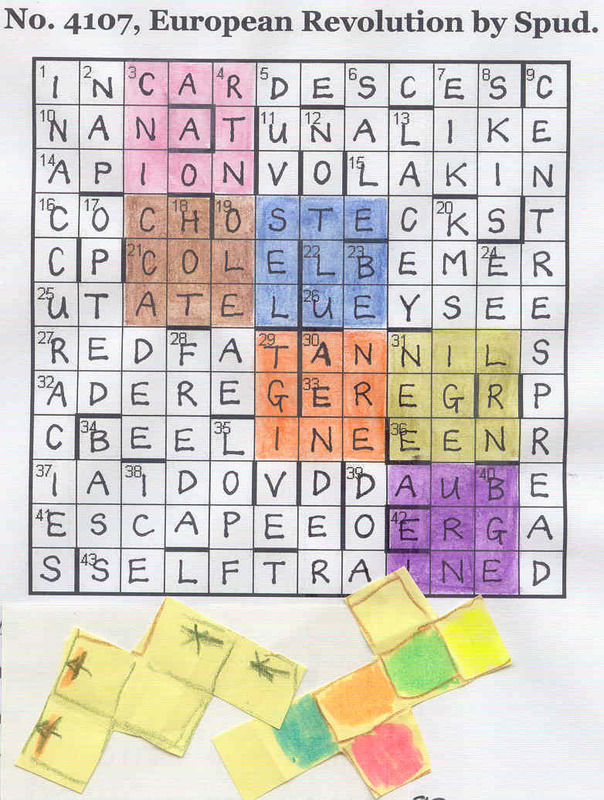 The clashing letters when added together read JUMPING JACK from top to bottom, the message spelt out by the extra letters in across clues spell OPEN THE BOX, and the extras in the down clues spell MASTER OF NONE. With reflections of the clashing letter squares, there is the shape of a jack jumping, and I deduce (thankfully) that he pops out of the grid when the across instruction is obeyed. This leaves empty squares. Four entries associated with the down phrase can now be identified in the grid: TAR, STEEPLE, QUARTER and LUMBER, all of which can either go before or after JACK. I must admit that I’m not 100% sure about TAR, but there seems nothing else. Finally, SPRING-HEELED is highlighted, which Chambers gives by example in spring-heeled Jack. A lot of thematic material here, and a very entertaining solve with the Jack finally jumping out of the grid. I hope I’ve got all the highlighting correct. If not, please leave me in my state of ignorance. Michael Miles: Hello, what’s your name? In the main competition, the contestant could win a key which would open a box, but Michael would try and buy it off them for increasing amounts of money. How the audience would enjoy shouting out “Open the Box! !” rather than “Take the Money!!”. Thanks, Charybdis for helping me to relive a memory from my childhood! 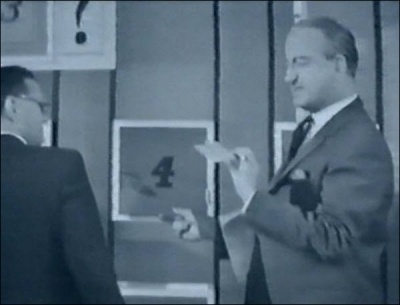 Quiz shows haven’t changed though … I still hate them.